Newly commissioned Meekatharra plant currently processing ore at up to 150 tonnes per hour (tph). First commercial gold pour within the next ten days with a target of 120,000oz of production in the first 12 months of operations. 17% increase in Probable Ore Reserves to 504,000oz (previously 432,000oz). Encouraging results from recent drilling at the newly defined Euro Project with best results including 1m @ 94.3g/t, 3m @ 23.8g/t and 10m @ 5.0g/t. Highly experienced international exploration geologist, Mark Csar, appointed as Exploration Manager. Mercator Gold PLC (AIM: MCR) is pleased to announce that commissioning of the recently refurbished three million tonne per annum (mtpa) treatment plant at its 100%-owned Meekatharra Gold Operations in Western Australia is nearing completion, with full commercial production scheduled to commence within the next ten days. The carbon-in-leach processing facility – located 15km south of Meekatharra, Western Australia – is nearing a throughput level of 150 tonnes per hour (tph) in preparation for a planned first gold pour this week. Mercator expects to produce approximately 120,000 ounces of gold in the first 12 months of operations. The majority of initial production will come from the Company’s Surprise Open Pit access ramp, which comprises predominantly low grade ore, whilst higher grades are expected once the open pit reaches the base of previous mining. The initial Surprise mining operation is based on a Probable mining reserve of 827,000 tonnes at 2.35 grams per tonne (g/t) for 63,000 ounces. After Surprise, production will shift towards the Bluebird Pit, where a much larger reserve of 1.7 million tonnes at 2.44 2 g/t for 133,000 ounces has been identified. The combined ore from Surprise and Bluebird is expected to meet the first 18-20 months of anticipated production with the focus then turning towards the Company’s underground mines. The underground mines at Meekatharra include the Prohibition, Vivian-Consols and Fatts-Mudlode ore bodies, which are part of the Paddy’s Flat Mining Centre – which has produced approximately two million ounces of gold to date. Mercator is pleased to report a 17% increase in its Probable Ore Reserves to 504,000 ounces (from 432,000 ounces previously) following the completion of positive metallurgical testwork programs. The increase primarily reflects the conversion of additional Indicated Resources to reserves at the Fatts and Mudlode ore bodies. Metallurgical testwork conducted by Perthbased metallurgical testwork company AMMTEC Ltd has confirmed that suitable gold recoveries can be achieved from both the Fatts and Mudlode ore, with a higher gravity gold component achieved from the Mudlode ore. The Company’s Mining Engineering Consultant, Red Rock Engineering, has successfully completed the preliminary mine design and costing evaluation for development of both the Fatts and Mudlode deposits and has updated the previously completed underground mine design for the Vivian-Consols and Fatts-Mudlode ore zones. The proposed development of dual access declines will enable mining to proceed both to the north and south over a strike distance of some 700 metres, while at the same time improving the ventilation system and providing a second means of egress. While the results to date have resulted in a significant reinterpretation of the orientation of geological structures hosting the mineralisation at Project Euro, it is important to note that the aim of initial drilling was to prove up the structural formation of the new zone, rather than to provide a detailed assessment of the zone itself. Furthermore, the orientation of the drilling was such that depths indicated in the table of results above are not representative of the actual depth of the intersections themselves due to the drilling angle utilised. Previous drilling was based on an interpretation of typical North-South structures, requiring drilling to be oriented in an East-to-West direction or vice versa. The diamond core drilling results received to date suggest that the structures are in fact oriented in an East-West direction and dip to the south. Remodelling the legacy data with the revised structural controls has identified a potential ore-bearing zone some 500 metres long, 300 metres wide and 120 metres deep. The Company plans to commence a diamond and Reverse Circulation (RC) drilling program to delineate a JORC compliant resource at the Euro Project in the short term. 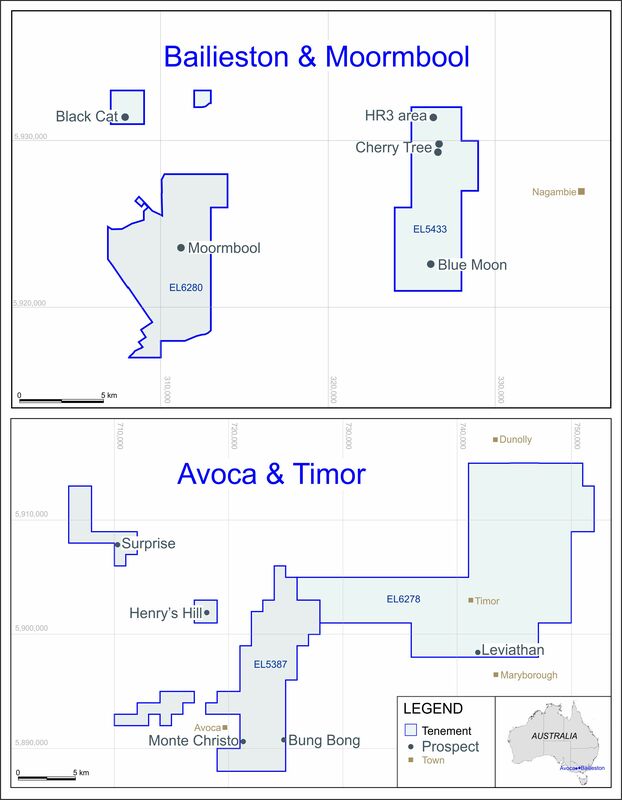 The delineation of additional reserves in this area, because of its strategic location, could have a significant impact on the Company’s future operational strategies. With its imminent move into gold production, Mercator is also pleased to announce the appointment of highly experienced international exploration geologist, Mr Mark Csar, to the role of Exploration Manager. Mr Csar brings a wealth of exploration and geological experience in a range of Western Australian-based gold and nickel operations. Prior to his appointment, Mr Csar was Exploration Manager – USA for the Iluka group. “I would also like to take this opportunity to welcome Mark Csar to the Company,” Mr Harford added. “The appointment of such a highly regarded and skilled exploration manager further cements the Company’s position as a significant player in Australia’s world-class gold mining industry. The information in this report is based on information compiled by Alan Coles and Denis Geldard.